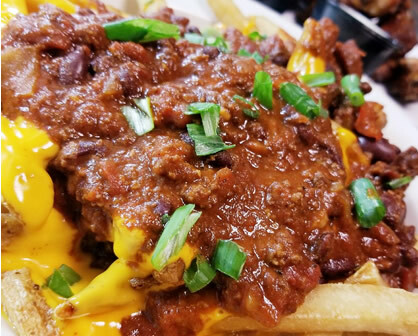 French fries topped with tasty cheddar cheese sauce and our own brewhaus chili. Served with ranch & topped w/ scallions. Want bacon too? We’ve got it and can add it on as well. So come on, warm your heart and soul with this American classic. For a challenge, pair these with our juicy 1/2 pound Route 89 Burger. …We promise you won’t leave hungry.